The February 7 Meeting was cancelled due to inclement weather. The Red Purse Raffle drawing will be held at the March 7 meeting. Tickets will be available for purchase until the March meeting! The SBW Foundation Committee began the Red Purse Raffle in 2009 when President Nancy Grey challenged the board to find a fundraiser dedicated to scholarships. Linda Fisher proposed a Mysterious Red Purse Raffle with contents valued at a minimum of $500. The Foundation Committee and the Career Advancement committee worked together to make the fundraiser a resounding success. Arlene Wischmeier deserves credit for making the event fun and profitable. 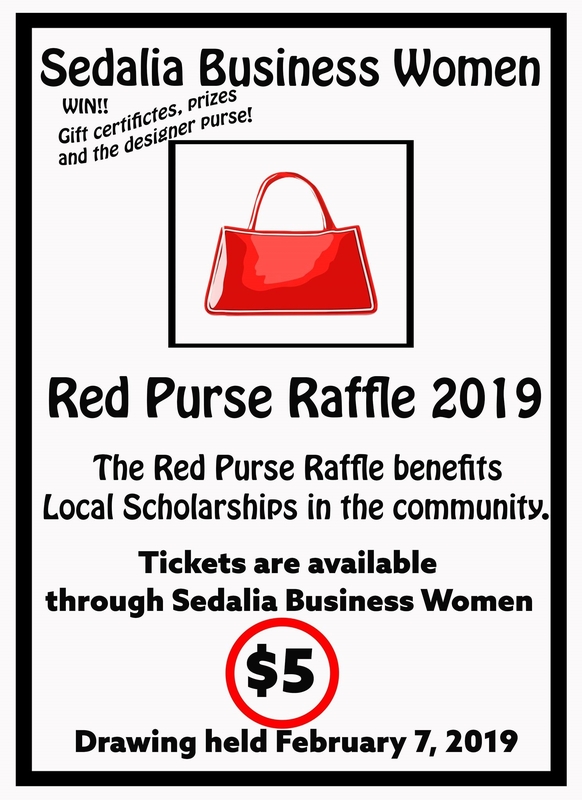 One hundred percent of the proceeds from the Red Purse Raffle are used for scholarships for deserving women in our area. Since its inception, the Red Purse Raffle has raised $15,298 for scholarships! Sedalia Business Women donate items for a silent auction to raise funds for Business Women of Missouri Foundation. Since 2009, we have raised $2,458 for the state foundation. We appreciate all the businesses, individuals in the community, and SBW members who contribute items for the Red Purse and silent auctions. These events are only possible through your generosity. Thank you for being guardians of the future!